Home News Pupovac: First Serb might become member of European parliament soon? Pupovac: First Serb might become member of European parliament soon? 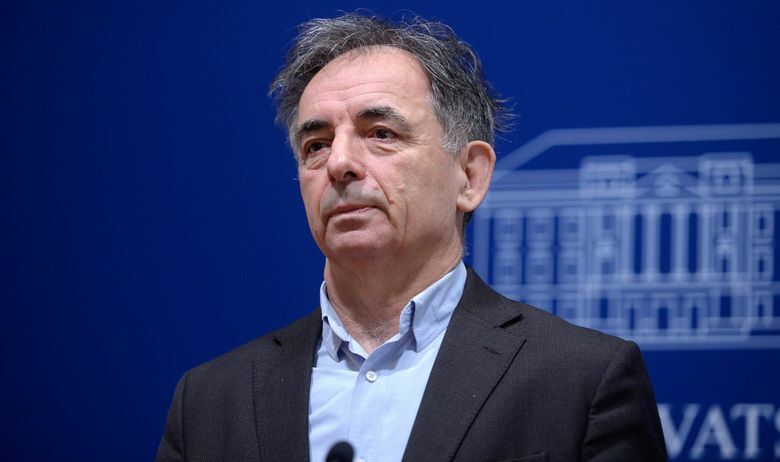 Milorad Pupovac, the leader of the Independent Democratic Serbian Party /SDSS/ says the way things are going, his party may win one seat in the elections for the European Parliament, which would be a great achievement since it would be a first Serb in the parliament. “Under the current circumstances regarding Europe, the European politics and Serbs in general, this is of crucial importance for achievement of Serbs’ rights in Croatia, the contents of Croatia’s accession agreement with the EU, and also of crucial importance for enlargement policy regarding other parts of ex-Yugoslavia, Serbia included,” Pupovac told the Sputnik news agency. He explained that around 60,000 votes would be a “necessary minimum” for winning the “first Serb seat” in the European Parliament. “The majority of votes will come from Croatia, but I also expect some votes from the people who found refuge or temporary employment in Bosnia and Herzegovina, Serbia and other countries, like Austria and Germany,” said Pupovac, who is the first candidate on the SDSS list. He pointed out that Dejan Jović, a professor at the faculties of political sciences in Belgrade and Zagreb, was also a candidate for the European Parliament, second on the list as decided by the SDSS presidency. He elaborated that members entering the European Parliament was not an automatic process, meaning the candidates would not be elected according to their ranking on the list. “That is decided by the party. It is primarily decided by the number of votes a person wins, while on the other hand the party decides who ends up becoming a member of the European Parliament. In other words, if I win the biggest number of votes and the party’s interest is different, that means that someone else could go,” explained Pupovac. The European elections will be held from May 23 until May 26.